Cape Town offers holidaymakers all sorts of fun activities, views and experiences. One of those attractions would obviously be the wide selection of beaches available while the other would have to be the unique mountainous terrain that offers hikers some challenging and distinct trails of incredible, breath-taking beauty. Living in a city between the iconic Table Mountain and the glimmering Atlantic Ocean gives everyone the feel of a permanent holiday, with plenty of diverse landscapes to explore. 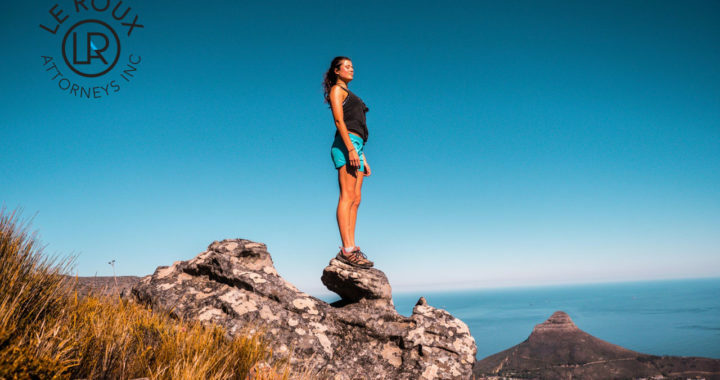 From the sun-kissed, sandy shores to the lush, mountainous regions ready to explore at a moment’s notice, Cape Town makes for an ideal hiker’s paradise. As Cape Town’s most famous iconic landmark, Table Mountain is always a top choice for hikers who visit the destination. If you are a hiker who prefers hiking in peace up to the mountain and avoiding the large crowds, the back routes are recommended. However, there are a number of trails up and down the mountain available that offer different moods and challenges for different explorers. You can snake your way up from Constantia Nek, or take on the numerous steps up Nursery Ravine or Skeleton Gorge (which can be extremely slippery when wet). All routes are generally easy to follow and are well signposted. Known as ‘Crystal Pools’, this spectacular trail officially makes up part of the Kogelberg Biosphere Reserve, with the Steenbras River nearby. The route is a popular and relatively easy one, offering stunning sights and wonderful features as it leads hikers up to a series of mountain pools in a kloof. Visitors must pre-book trips up the mountainside, which can be done at the Helderberg Nature Reserve in Somerset West. Permits are R65 per person, and gate times are from sunrise to sunset. Newlands forest is a well-loved walking, hiking, and jogging region, especially due to its easy access from Cape Town’s southern suburbs. There are various routes to choose from, with the contour path following the winding of Table Mountain all the way from Tafelberg Road, past the cable car station, and through to Constanta Nek. The Newlands Forest section is well-maintained, with wooden boardwalks and raised picnic areas set amongst the trees. Dogs are also welcome to join you on hikes here, as long as they are on leads. Children from ages 10 and up are permitted in the forest. Dogs are also welcome but must be kept on a leash for the first 5 minutes, until you’ve reached the top of the road from the parking lot. The Shipwreck Trail is one of the most fascinating and intriguing routes of Cape Town. Situated in the Cape Point Nature Reserve, you can explore the age-old ruins of some of the most beautiful shipwrecks around. The Shipwreck Trail itself is named after the three remarkable shipwrecks that lie dispersed along the shores. During this route, you can expect to see a few wandering ostriches, snakes, seagulls, baboons, bontebok, rare African black oystercatchers, and more! This hike consists of three trails that begin and end at Olifantsbos which differ in length, so visitors are free to select one that suits their mood or requirements. Children from ages 10 and up are permitted in the forest. DO NOT BRING FOOD ALONG AS IT WILL ATTRACT BABOONS. De Hel is unbelievably green and abundant with overgrown jungle-like vegetation, making for some stunning hiking. The Constantia Green Belts take up several areas throughout this flourishing suburb, and there are a couple of trails where you can walk dogs, and somewhere you can even ride horses! For those seeking some thrilling hiking action, Suicide Gorge is a fantastic choice. The route takes a whole day (8 hours) to complete, and offers 17 kilometres of exhilarating outdoor adventures through the picturesque Boland Mountains. Suicide Gorge is somewhat of a wet hike, making it perfect for summer, providing incredible water feature sights, remarkable canyon scenery, waterfalls and massive jumps. To embark on a Suicide Gorge mission, you must be a fit and experienced hiker, and it is highly encouraged that you complete the route with someone who has attempted it before, as it can become dangerous in extreme weather conditions. Five groups of 6 people are permitted over the weekend, whilst groups of 12-15 are permitted during the week. Lion’s Head is the distinctively shaped mountain slope set next to Table Mountain. 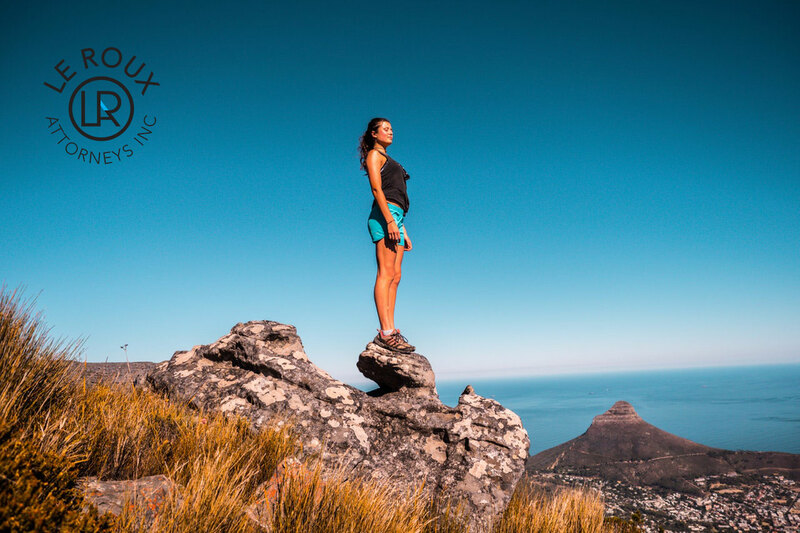 The trek is one the most popular as it provides incredible views of Cape Town, and will easily help in keeping you motivated. The summit is a well-loved spot for paragliding due to the nearby beaches, as well as a popular spot for picnics, sundowners and your next Instagram profile picture. Hiking Chapman’s Peak is one of the lesser hiked peaks on the Table Mountain chain, but is absolute paradise for hiking enthusiasts, affording you even better views than the road below. ‘Chappies’ is known as one of the most satisfying and rewarding treks on the Peninsula. Children from ages 10 and up are permitted here, as well as dogs. With so many options to choose from, you will find it tough avoid taking on one if not all of these stunning trails to stay away. Each of these routes come with their own obstacles and levels of intensity but are all equally worthwhile if you’re an avid hiker and would like to tick some great trails off your bucket list. We are able to help you with all Visa Applications in South Africa. We also feature a Free Online Assessment to help you determine your current status and which steps to take next. Contact Le Roux Attorneys today to assist you in applying for your holiday visa in South Africa. Posted in blog, Explore SA, Play in SA, Visit SA and tagged Hiking trails, holiday, Travel, Travel Tips.